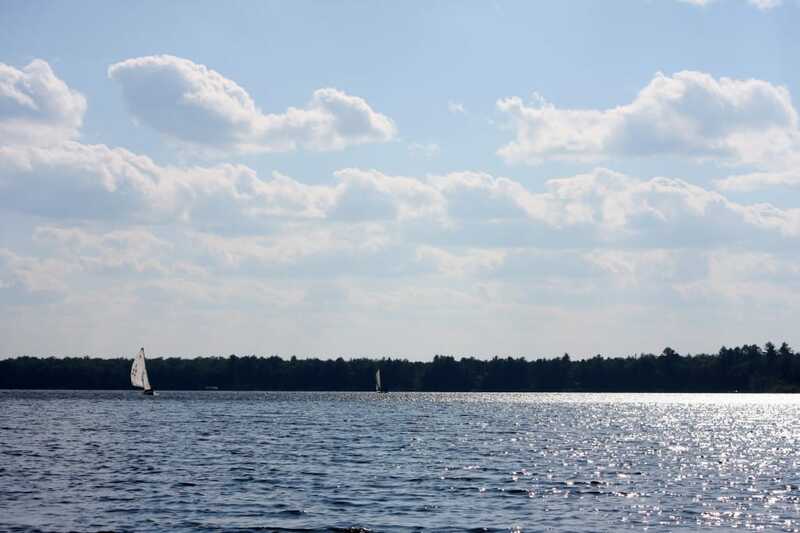 It was another beautiful day out on lake Nokomis! We’ve had some beautiful sailing weather lately, I feel qualified to say. The summer is at its warmest and this creates some excellent racing conditions when the winds pick up, late in the morning. My activity is Sailing. Sailrace is in my blood, so forgive me if my posts lean in that direction! Today, the winds eased up some, just in time for the Woodland girls to come over for a race. Despite the lower wind, we had an excellent race. In fact, low-wind conditions are a perfect time to practice some of the more delicate skills and movements up sloop racing. 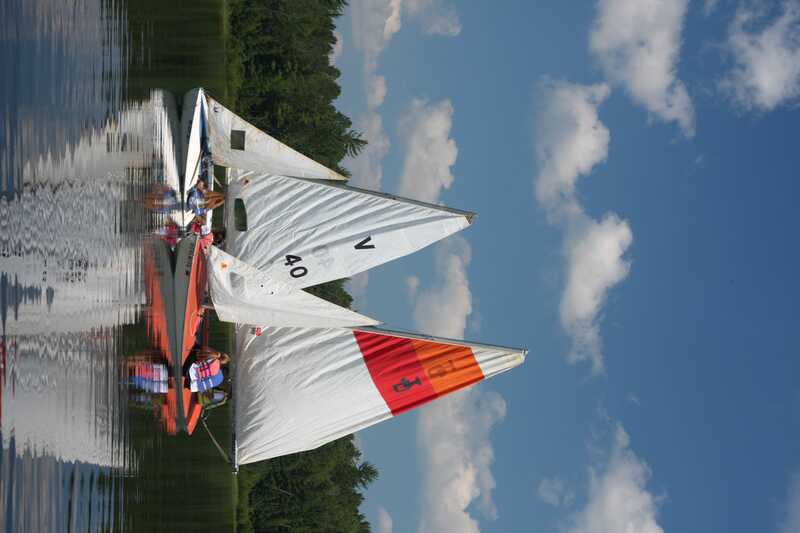 The lower the wind speed, the more sensitive these little boats are. 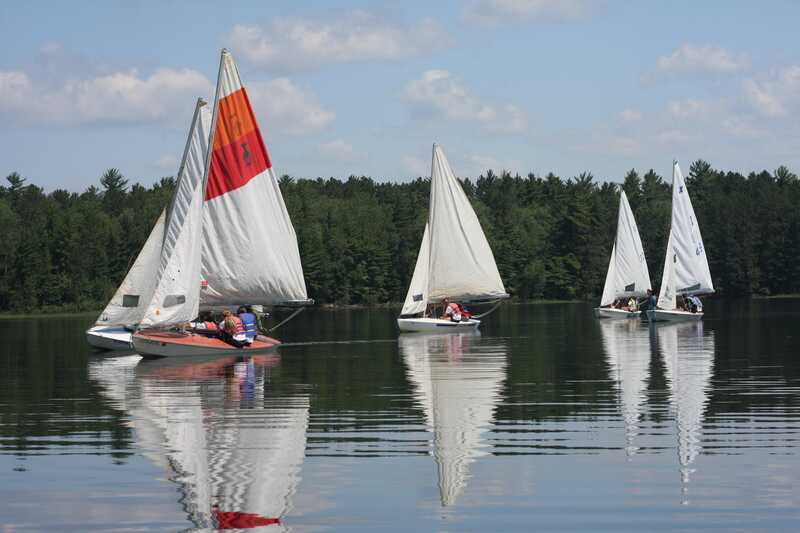 Even when it seems as if there is no wind, a properly trimmed boat can move at several knots. I’m always amazed at just how efficient sail power can be: you don’t move like the wind, you move faster than and against it! The biggest challenge about low-wind days in Sailrace is keeping the campers interested. Teenagers are more interested in whipping white-caps and each other than in slipping across a glassy lake. That’s why today’s race was so inspiring! All of the boats started off well with no collisions and no one too far behind. 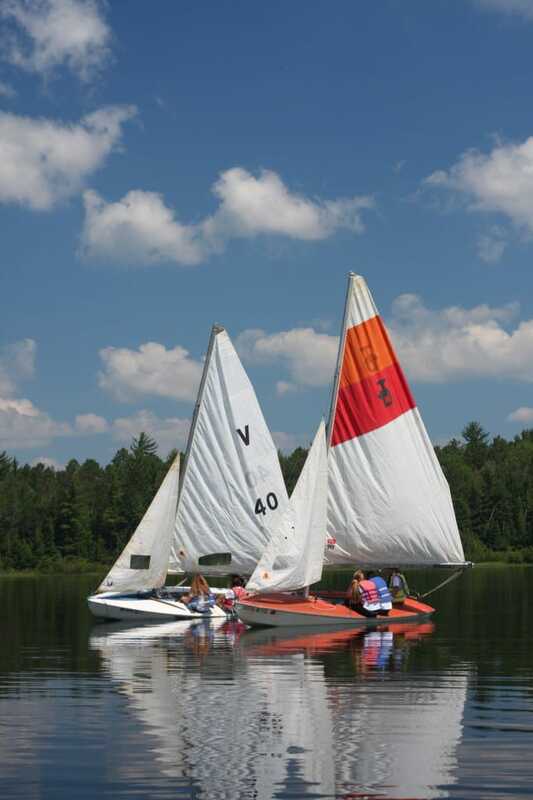 Because of the prevailing winds, we started our course out across the lake (Buoy 2, for you veterans out there). It took us awhile to get out there so we only had one leg: upwind, back to camp. Daphne came in first on the Fault-Free (which I recently refitted with a brand new halyard and masthead); Michael P. came in second on the X-Scape; and Meera came in third on the Magic Johnson, despite making huge gains on Michael on the home stretch. The rivalry between camps doesn’t bother me much, anymore. Having taught all of these sailors, both girls and boys, I’m proud of all of them for running such an excellent race and getting all five of our TP boats put on the water! Yeah, it’s good to be a sailor. It may be a lot of work to keep these boats in working condition, but it sure is great to see them enjoyed. In my next post, I’ll let you in on our new sailing department tradition: The Dread Pirate Regatta!